Segway Sensation SA have partnered with iconic Australian winery, Seppeltsfield, to launch the first ever Segway tours in South Australia. 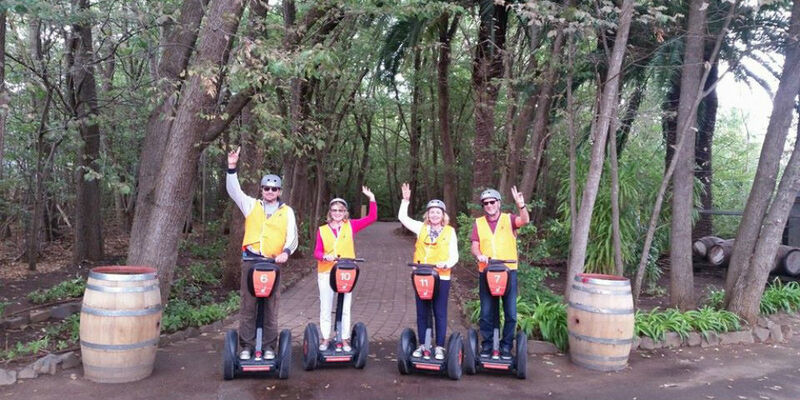 Segway Sensation SA Tours is a journey through the picturesque vineyards of Seppeltsfield. A 60-minute tour departing from Seppeltsfield Café, visitors will embark on a journey to experience a back-stage pass to some of the hard-to-reach, magical areas of the estate showcasing the in-depth beauty of the Barossa. The Barossa Valley is one of the world’s great wine regions, renowned for its food, wine and cultural experiences. The picturesque rolling hills of the Barossa Ranges overlook a colourful patchwork of vineyards beckoning visitors to explore. Tours have been carefully crafted offering people a chance to glide through heritage-listed sites and 19th century Barossa architecture, tranquil gardens and stunning vineyard vistas. Segway Sensation SA Tours strive to offer a different type of adventure. We work very closely with the highly passionate and dedicated staff at Seppeltsfield to offer you a memorable Barossa experience. Experienced guides, Cindy and Shane, will provide you full training, and then it’s off to explore the vineyards on two wheels. Come and have some ‘wheelie’ good fun with us!